You would have to have been in the boat Stuart, with a very fast shutter speed. Superb! Never could see the point in stepping off a perfectly good ski, myself. Used to insist on going out in the boat when Mark was barefooting - the only time you could be guaranteed he'd fall over. 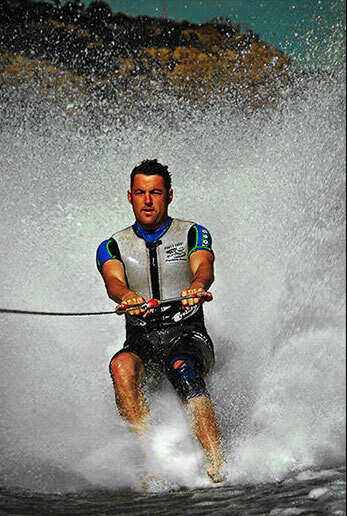 I am with you, water skiing with or without a board is not for me. Tried it once - fell over and forgot to let go of the rope. Had water coming out of a certain orifice for days! great shot Stuart, hope they paid you lots even then they still got a bargain!! He ain't no Jock, he has got some colour in his skin and he hasn't got ginger hair.